For women who are focused on preventive beauty treatments and delaying the ravages of time for as long as possible, you know that it's not enough to focus on what you apply externally. LAC, available exclusively at GNC, is one of the newcomers in the beauty and wellness supplements market in Singapore, so I gave some of their star products a good try. LAC Taut Collagen drink plus Placenta is definitely the most premium of the oral skin supplement I've tried. Priced at SG$99.95 per box of 8 bottles, this will last you a little over 2 weeks when taken every other night. What makes it different - aside from the big dose of collagen - is that this Japan-manufactured formula contains horse placenta extract. I can see some eyebrows raised in shock, but this has been very popular among East Asian women for anti-aging, post-birth recovery and reduction of menopausal symptoms due to its cell regeneration properties. If you're hesitant, LAC has a non-placenta collagen drink as well. I will say more independent studies need to be done on the body's ability to synthesize collagen and placenta extracts for skin regeneration but I'm actually wowed by the other ingredients in the supplement as well. This reads like some high-end skin serum. I'm almost tempted to rub it on my face but I'll happily ingest it at night. Why night? Your body kicks into its cell regeneration and repair mode when you sleep so taking it awhile before bed is the best way to ensure more of the protein is being synthesized for those processes, instead of being burnt off for energy. The drink itself is flavored with natural orange juice and does taste more pleasant that a few other supplements I've tried. Obviously because collagen is a protein, the fluid will have a slightly thicker consistency. I pop my entire box in the fridge because anything sweet and thick tastes better cold (in my opinion)! LAC suggests using it as salad dressing as well, but I'd suggest mixing it into fruit juice or a smoothie - just so you can drink it before bed. LAC also has Taut White, which is a powdered mix (box of 30 sachets for $59.95) that you can pour into your LAC Taut and shake up before drinking. Is it strange that I'm more wowed by this booster than the supplement drink itself? It is meant to super-charge your nightly cell regeneration with lots of anti-inflammatory and antioxidant extracts. Inflammation is the precursor to skin darkening and uneven pigmentation. Every time your skin gets damaged by UV, stress, or other environmental aggressors, it has to struggle to calm and repair the inflammation by producing melanin. As we age, some cells start to malfunction and forget to "turn off the tap"; they keep producing excess melanin even when it's not required, which shows up as dark marks and spots. L-glutathione is a yeast extract (similar to what makes the SK-II miracle water "miraculous"). It's a powerful anti-inflammatory, and shown to inhibit excessive melanin production over time. 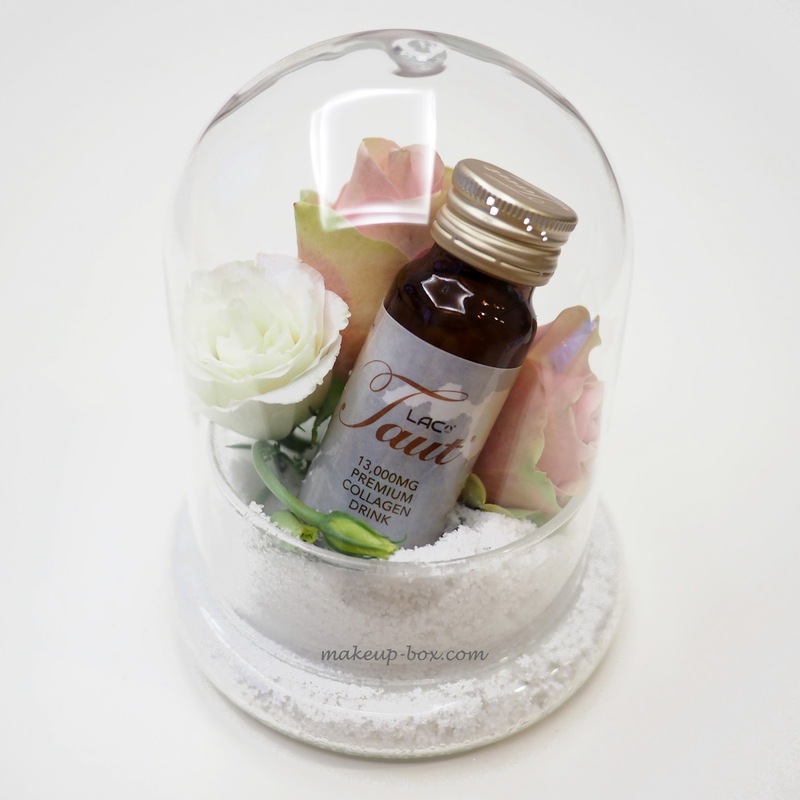 Taut White also contains a whole host of other antioxidants like grape seed, olive leaf, alpha lipoic acid, vitamin C that help to counter damage and boost your skin's repair so your nightly regenerative processes are more efficient. There is also l-cysteine which is an interesting ingredient because it is not only an antioxidant but also helps the body to synthesize glutathione. Now Taut White doesn't have a discernible taste mixed in with Taut collagen drink, but it does contain fiber and will make your drink even thicker. That's the one con about this product for me. If that's an issue for you, you can go for the Taut White capsules (60 capsules for the same price), and just wash it down with water or the collagen drink at night. 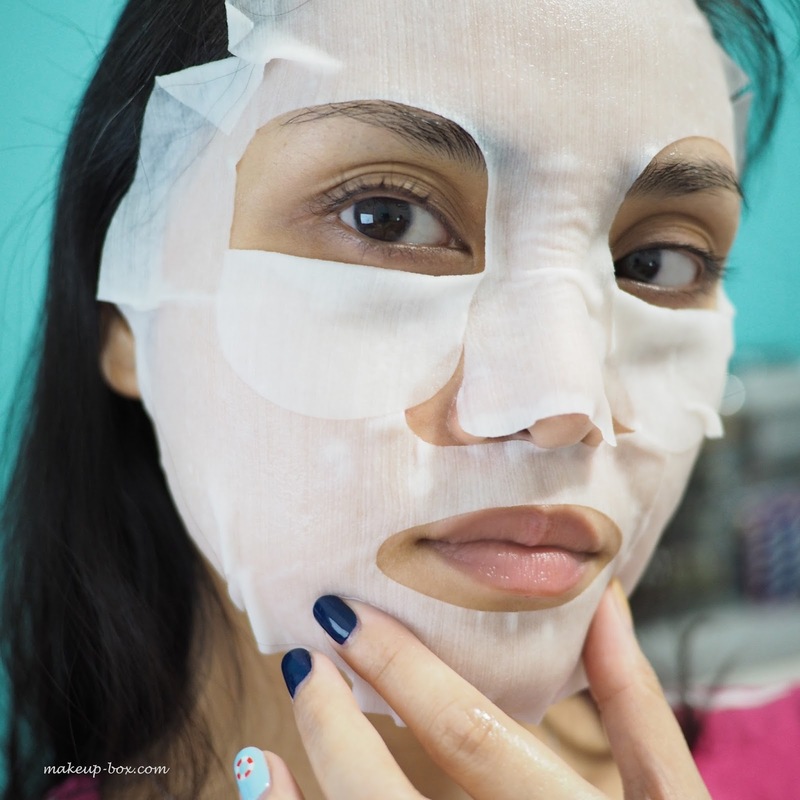 Out of all the many items LAC has for skin boosting, I was not expecting to fall for the LAC Taut Collagen Infusion Mask. There are SO many masks on the market, and most of them (aside from a couple of faves) just leave a sticky film on the surface of my skin and don't really seem to penetrate and hydrate the deeper layers. This goes on cooling and soothing, and my skin feels very plumped and fresh 10 mins later. The feeling lasts for the rest of the day as well and makeup sits beautifully. It may seem expensive at $49.50 for a box of 5, but it's still cheaper than many of the high-end masks I like, and performs on par in my experience. What do I think of the range overall? Because of the premium pricing, this is definitely a range for people who already invest in their skin and are ready to step up their skin supplement routine. Then again if you're going to try it for the first time, you might as well try something good so you can really see if it benefits you. I do feel my skin is less parched and more hydrated and firm with a month of use. I can get by without heavier creams, which I usually need in my driest areas. I can't say if it's the collagen and placenta or all that hyaluronic acid and ceramide but to be honest, as long as it works I don't care! That said, skin supplements are not a magic pill - don't expect dramatic befores and afters. They are an extra preventive step that can help support your existing skincare regimen, and not a replacement for a good diet, good skincare and sun protection. It's also a long-term commitment, not a short-term fix. Do also realize that many of the ingredients in oral supplements benefit the whole body, not just your face. In an ideal world, we all exercise daily, drink plenty of water, eat tons of fruits and vegetables, avoid processed foods, never pig out, never skip meals, don't expose ourselves to excessive sun and pollution, and have perfectly balanced nutritional intake daily. But because that's not possible I kinda like having a little extra help for allover repair. My #1 recommendation from the line to try? LAC Taut White. I think everyone can benefit from specific anti-inflammatory and antioxidant supplements targeted at skin repair, and it's great that this comes in capsule form for those who are on the go, or don't want to taste their supplements. It's also easier to get hold of than many oral skin brightening supplements which are only available at clinics and facial spas. If you have a target market and looking for the reliable service than join the program offered by http://supplementsbit.com/ which is the best drop shipping company of herbal supplements. Glutamine is one of the most essential supplements for body's fitness organic bilberry extract because it protects the muscle from harmful effects of the cortisol hormone. The article you have share is truly nice. Dietary supplements is most frequent used in beauty products now a days. Get detailed information about fenugreek testosterone booster, only from testosteroneofficial.com.